The Utah Symphony Chorus is an audition-only group composed of professional singers from the Salt Lake City area. For information about the Utah Symphony Chorus contact the chorus manager Lance Jensen at 801-869-9006. The Utah Symphony Chorus will be holding auditions for chorus members (all voices) on Friday, July 12, 2019. 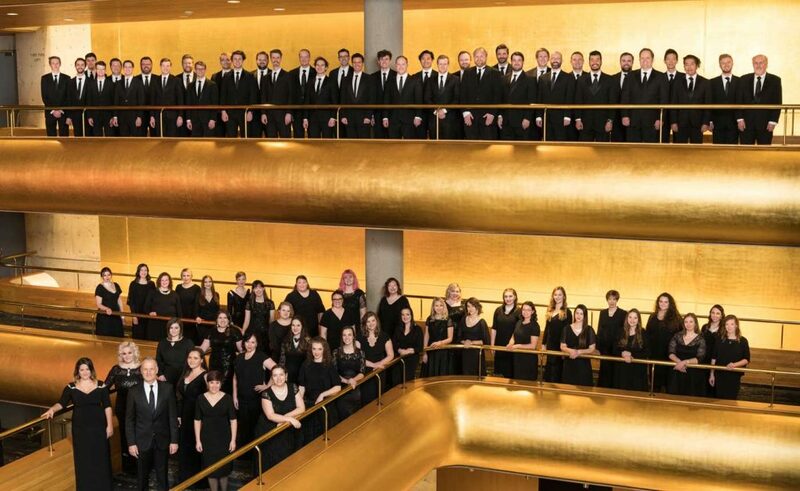 Singers on the Utah Symphony Chorus roster have the opportunity to be contracted and compensated for performances with the Utah Symphony at Abravanel Hall. Well qualified and experienced musicians are invited to apply. To receive an audition time, download and complete the audition application/information sheet and submit to the Utah Symphony Chorus Manager, Lance Jensen, at ljensen@usuo.org. Applications will be accepted until Friday, July 5, 2019. Please come to the audition prepared to sing one classical or musical theater piece that best demonstrates your abilities and vocal range. Candidates may will be asked to sing vocal exercises. An accompanist will be provided, please bring a copy of your music suitable for use by the accompanist. Shortly after Maurice Abravanel began his famed association with the Utah Symphony, he set about finding a group of singers that could undertake the great choral masterworks with the orchestra. 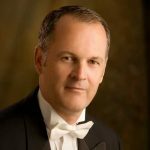 Abravanel turned to the University of Utah and Music Department Chairman President Leroy J. Robertson, who agreed to let Abravanel use the University’s choirs to combine forces and perform with the Symphony. Their first joint venture was Beethoven’s Ninth Symphony, performed on March 13, 1948 in the Salt Lake Tabernacle, with choirs prepared by John Marlowe Nielson. Six decades and a wealth of the world’s greatest choral music later, we embrace the future and our great associations with Symphony Music Director Thierry Fischer, and the orchestra. Over the years, the name of the Chorus has changed from The University Chorale to The University Civic Chorale, The Utah Chorale, and finally the Utah Symphony Chorus. John Marlowe Nielson (1948-1962) was succeeded by Dr. Newell B. Weight (1962-1982) as Music Director of the Chorus, followed by Dr. Edgar J. Thompson (1982-2003), Dr. Susanne Sheston (2004-2013) and Dr. Barlow Bradford (2013-present). The chorus has sung under the baton of Utah Symphony Music Directors Maurice Abravanel, Varujan Kojian, Joseph Silverstein, Keith Lockhart and Thierry Fischer, as well as numerous guest conductors including Robert Shaw, Margaret Hillis, Roger Wagner, Peter Eros, Bernard Labadie, Andrew Litton, Stanisław Skrowaczewski and many others. The Utah Symphony Chorus is comprised of professional singers from the Salt Lake City area who come from all walks of life. The Chorus performs several concerts each season with the Utah Symphony, which may include choral masterworks, pops concerts and our annual audience-participation Messiah Sing-In. All chorus rehearsals take place during evening hours. There is no time limit for years of service in the chorus, though members periodically re-audition for membership. We’re proud to continue providing outstanding music to the communities of Utah and beyond, and as always, to be the voice of the Utah Symphony!